We interviewed Warm Digits in TSP21 in 2012…very pleased to see they are making great inroads and enjoying many successes with their highly enjoyable English form of Kraftwerk-Neu! electronic beat music, appearing at festivals, getting involved in remix projects with assorted big names, and receiving airplay on BBC Radio. 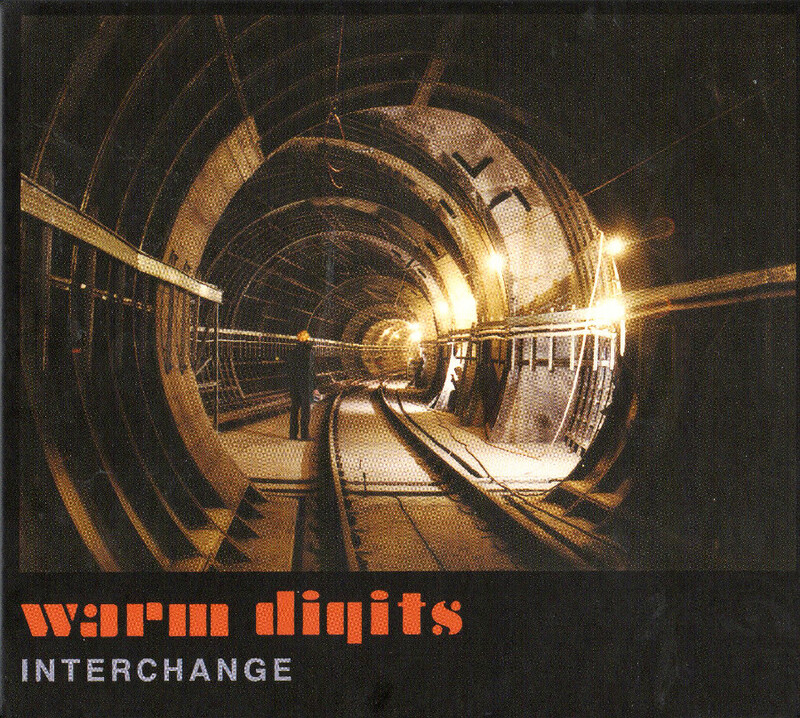 Their recent Interchange (DISTRACTION RECORDS DIST28) is a concept piece of sorts, inspired by the construction of the Metro underground in Newcastle in the 1970s 1. Did I mention that the duo Steve Jefferis and Andy Hodson have connections with Newcastle and Manchester…and the record proudly boasts it’s made in those cities, like the brand of a 19th century manufacturer of cast iron pipes. The release is a six-track full length album plus an accompanying DVD for the experimental movie which they made, with help of archival materials from Tyne and Wear Archives. Without a doubt this accomplished release is a knowing attempt to recreate Autobahn for an English listenership, and to my mind is a great success on that account; melodic, romantic, and somehow retaining a uniquely British flavour while remaining true to the precepts of 1970s German electronic music. And of course it’s themed on travel, with an appropriate sense of endless forward-movement to each track (if I drove a car, this would be on repeat play as my drive home music). Superfluous to add, but live drumming is one of their secret weapons; taking a lesson from the percussion pad work of Karl and Wolfgang, drum machines not allowed. A hugely entertaining piece of music with not a single slack moment; every home should have one of these irresistible delights. The video is also a treat; using documentary source material such as photographs and architectural drawings blended with op-art and psychedelic abstractions, they create an impressionistic journey through the construction of the Metro. In this time of pessimism and dourness, it’s a genuine pleasure to experience the thrilling futuristic optimism with which this entire package is saturated 2. If this duo wanted to offer their talents in the creation of modernistic public services films or promotional events, they’d clean up! From 01 July 2013.